Public Debt: Cumulative amounts borrowed by the Treasury Department or the Federal Financing Bank from the public or from another fund or account. The public debt does not include agency debt (amounts borrowed by other agencies of the Federal Government). 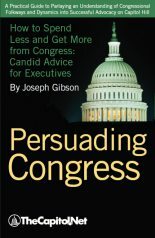 Debt Ceiling / Debt Limit: When the revenues collected by the federal government are not sufficient to cover its expenditures, it must finance the shortfall through borrowing. In addition, the federal government is compelled to incur debt because of requirements that trust fund surpluses be invested in federal securities. Federal borrowing is subject to a public-debt limit established by statute: public debt is subject to a statutory limit, 31 U.S.C. 3101. As long as the federal government incurs annual deficits and trust funds incur annual surpluses, the public-debt limit must be increased periodically. The frequency of congressional action to raise the debt limit has ranged in the past from several times in one year to once in several years. Legislation to raise the public-debt limit falls under the jurisdiction of the House Ways and Means Committee and the Senate Finance Committee. Congress has developed debt-limit legislation over the years in three ways: (1) under regular legislative procedures; (2) as part of reconciliation legislation; or (3) in the House, under Rule XXVII (referred to as the “Gephardt rule” after its author, former Representative Richard Gephardt (D-MO, 1977-2005). 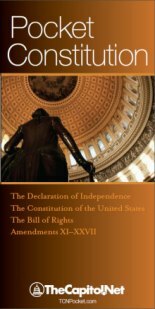 House Rule XXVII required that the House Clerk automatically engross and transmit to the Senate, upon the adoption of the budget resolution, a joint resolution changing the public debt limit to the level specified in the budget resolution. 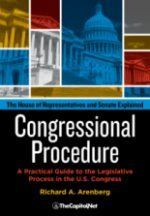 This automatic engrossing process was added to the House rules in 1979, remained in the House rules until it was removed at the beginning of the 107th Congress, was restored at the beginning of the 108th Congress, and was removed again at the beginning of the 112th Congress in 2011. 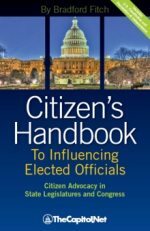 The Senate has no procedure comparable to the Gephardt rule. 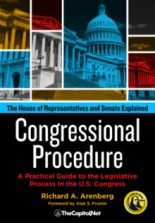 The Senate may add nongermane provisions to debt-limit legislation considered under regular legislative procedures. For example, the 1985 Balanced Budget Act (Gramm-Rudman-Hollings) was an amendment to a debt-limit bill. 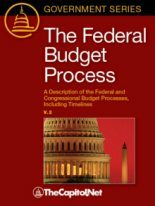 The Budget Control Act (BCA) of 2011 contains many elements, including a phased increase in the statutory debt limit amounting to $2.1 trillion in total. Also see: Budget Deficit / Budget Surplus; Date Shifting / Fiscal Transparency / Fiscal Illusion; Federal Debt; § 7.60 Spending, Revenue, and Debt-Limit Legislation, § 7.100 Debt-Limit Legislation, in Congressional Deskbook; Chapter 7.J. Debt Ceiling, in Congressional Procedure.